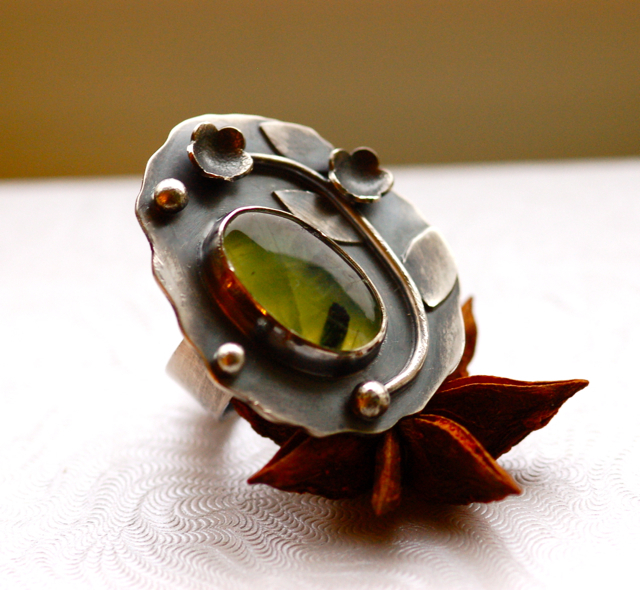 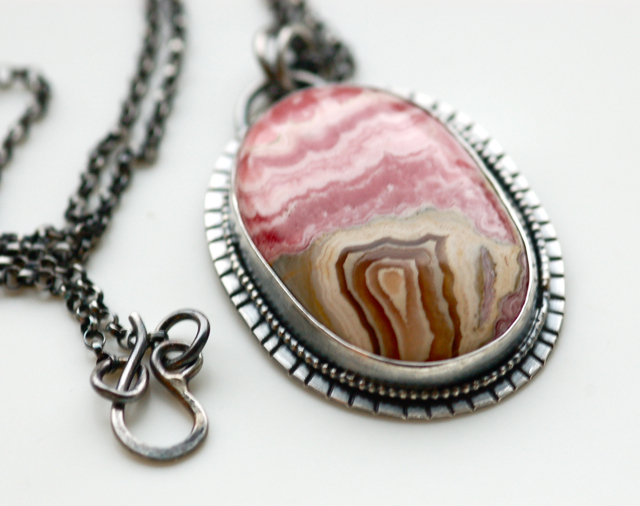 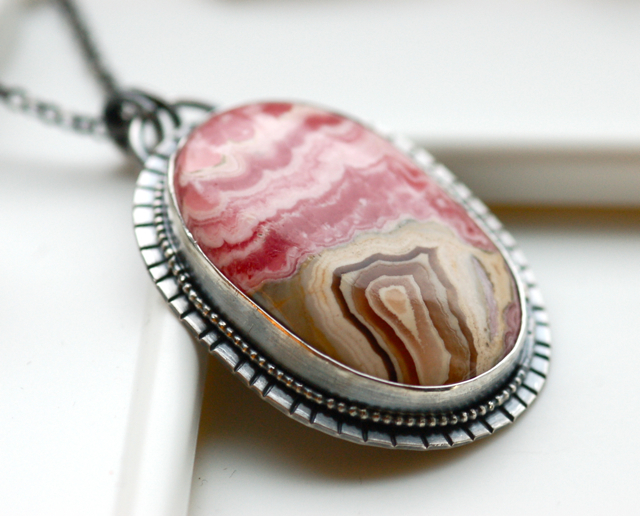 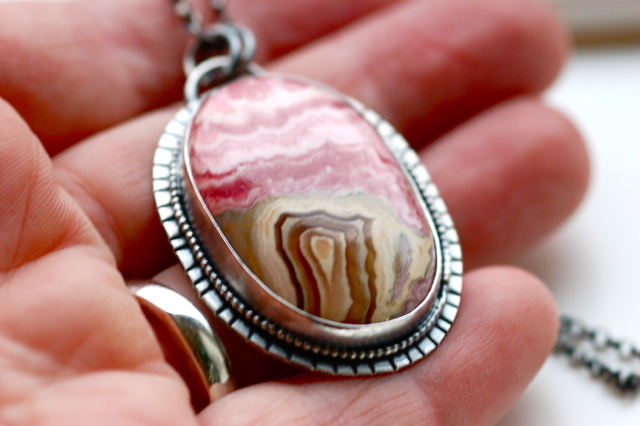 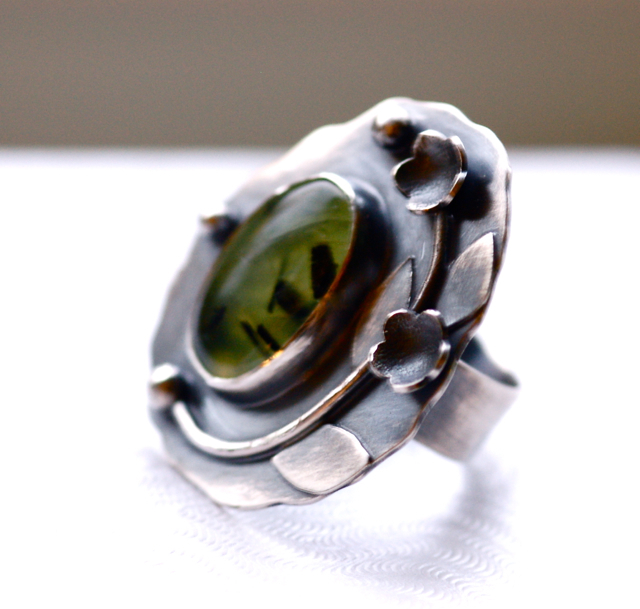 A stunning hand cut and polished rhodochrosite is set in sterling silver. 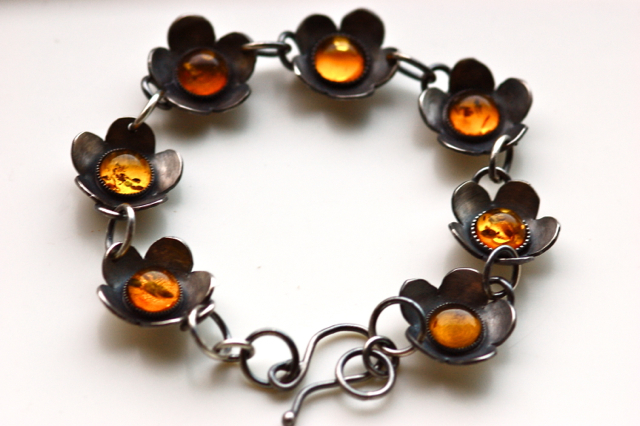 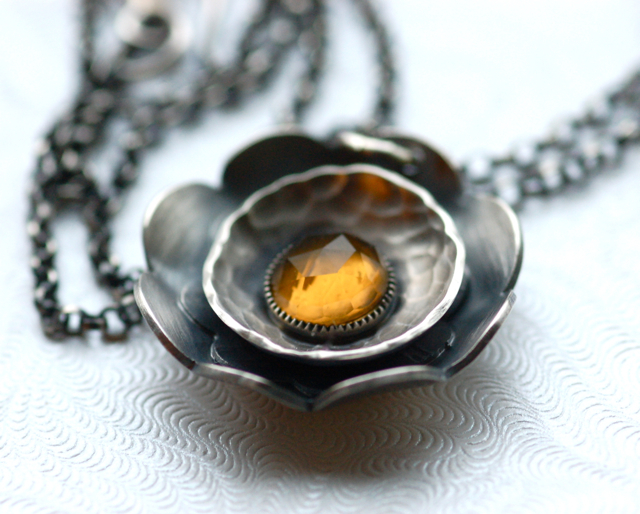 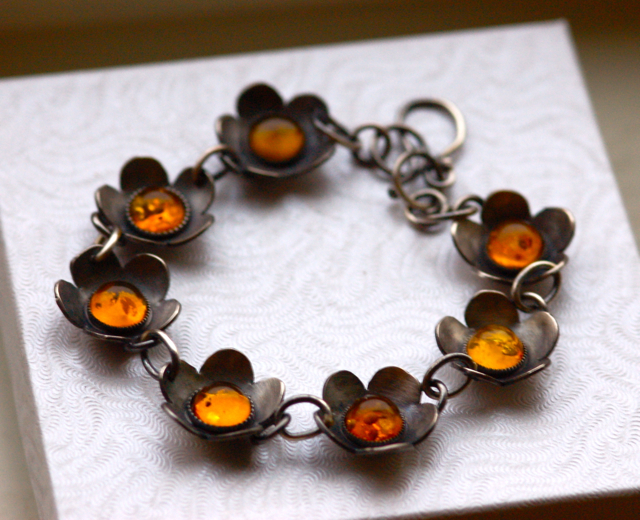 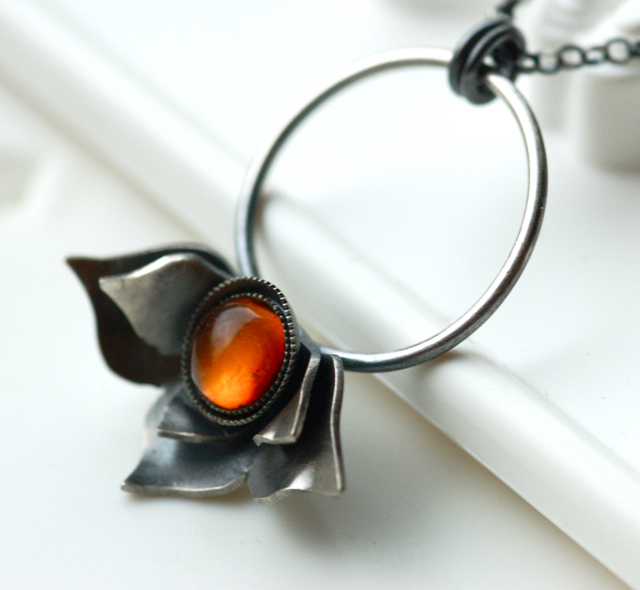 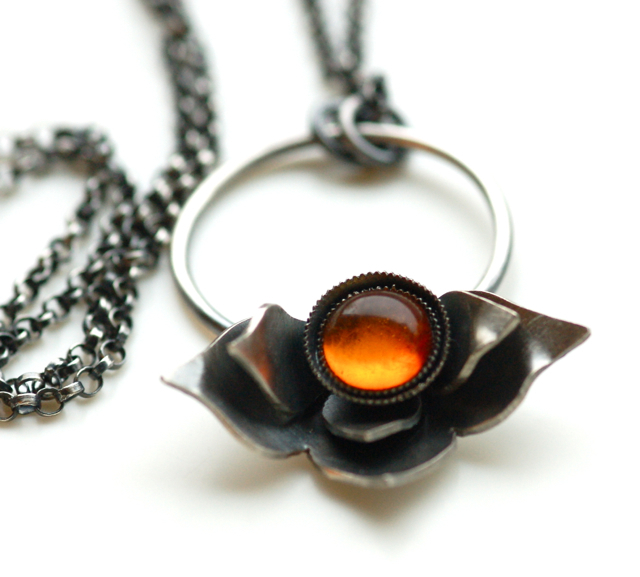 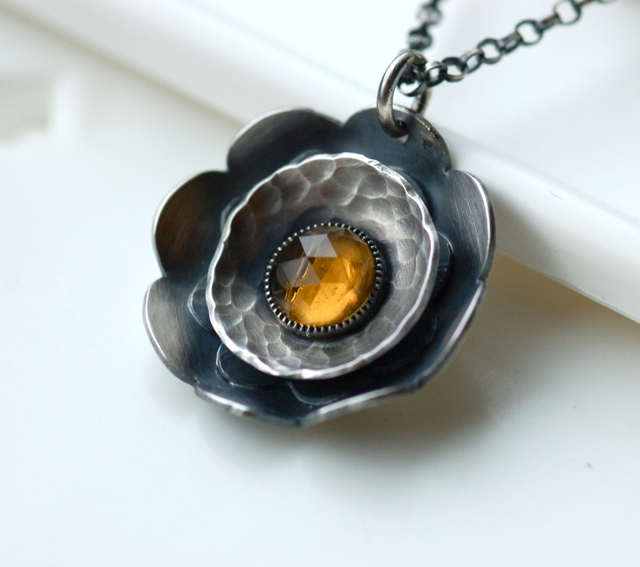 Autumn Mist necklace in sterling silver and smoky quartz. 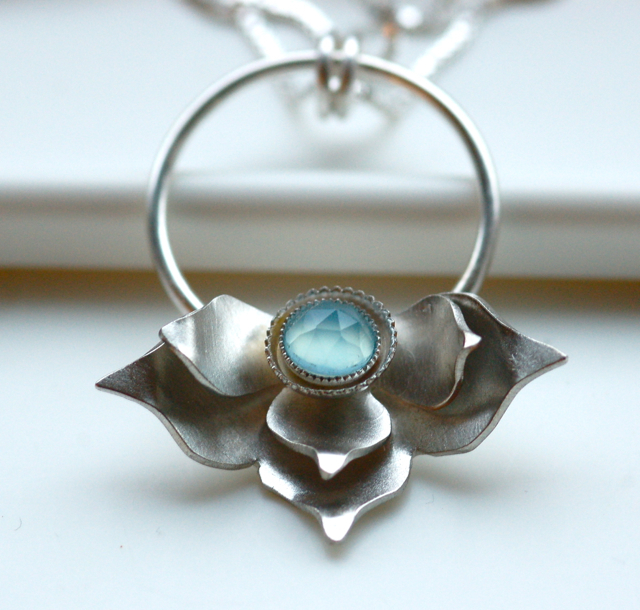 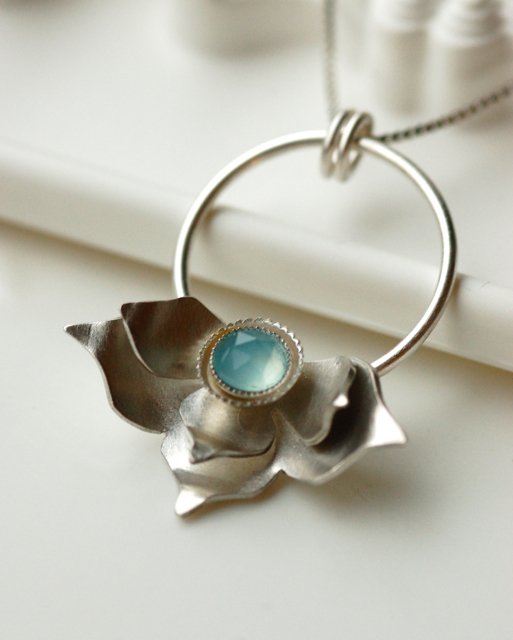 Beautiful work...I love the lotus leaves.